It's common to experience the winter blues; feelings of deep unhappiness associated with experiencing the long, cold darkness of winter. Lack of light can have a huge impact on our emotional, physical, and mental state, with symptoms including low mood, increased irritability, fatigue, anxiety, and social problems. I really struggle with not being able to get outside as often as I’d like during winter; spending more time indoors is inevitable when the bad weather ruins our plans. I love the warmth and freedom of summer and so winter is a tough season for me to get through. 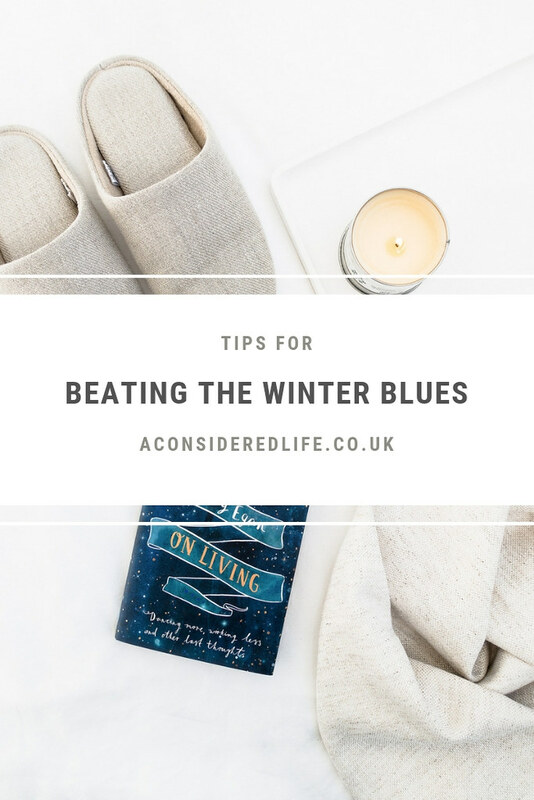 If you’re daunted by the cold, dark months ahead, this is how you can thrive in winter and beat the winter blues. There’s a tendency to hide away, out of the cold, during winter. Exercise releases endorphins that help lift our mood and can help with depression, while being outside in the sunlight and fresh air has a positive influence on our body and mind. Try to take time each day for mindful exercise; focus on the exercise you enjoy and, if you’re struggling to stay motivated, invite a friend to join you. You don’t have to embark on a mission to get the fittest you’ve ever been; a small promise to yourself to stay active during the winter is enough to help beat the winter blues. I try to make time everyday to go for a walk and practice yoga on an a daily basis. These gentle activities have a dramatic affect on my mental and physical wellbeing, preventing the sadness from creeping in. Surrounding yourself with good company is a surefire way to relieve the stress and anxiety the cold and darkness can bring with it. Making time for friends is so important to me but even more so in winter. Getting together to share food and enjoy each other’s company is a great way of boosting our moods and staying connected. Make plans to see friends and spend time with loved ones during winter to help boost your mood and build a network of good influences to help support you when times are tough. Having friends and family around you when you’re feeling anxious or stressed is so important for making it easier to see winter through. Our diets play a huge role in both our physical and mental wellbeing. Investing time into cooking nourishing recipes will ensure you stay fit and healthy during winter. Improve your diet and nourish your body with nutritious whole foods that will help you to stay healthy throughout the winter months. I know I feel better when I stick to a whole food plant-based diet. I suffer from fewer colds and related illnesses when I ditch convenience foods and less healthy options. Easy switches you could make might include eating more plants, limiting caffeinated drinks, and cooking meals from scratch to pack in the nutrition. Make sure to pack your meals with seasonal produce; lots of fresh veggies and energising grains, beans, and pulses. Lack of sunlight is a huge trigger for the winter blues; it’s important to get as much natural light as often as possible. I don’t have curtains in my apartment because I like to wake up naturally, when the sun rises. Obviously this isn’t a realistic option for everyone. If you have to wake up when it’s still dark outside, a body clock wake-up alarm will help you to wake up gradually in a more natural way. Using a body clock alarm, SAD lights, or light boxes have been proven to help reduce feelings of sadness and improve your mood. While getting outside despite the cold is important, spending time indoors provides us with the chance to invest time into our favourite hobbies. 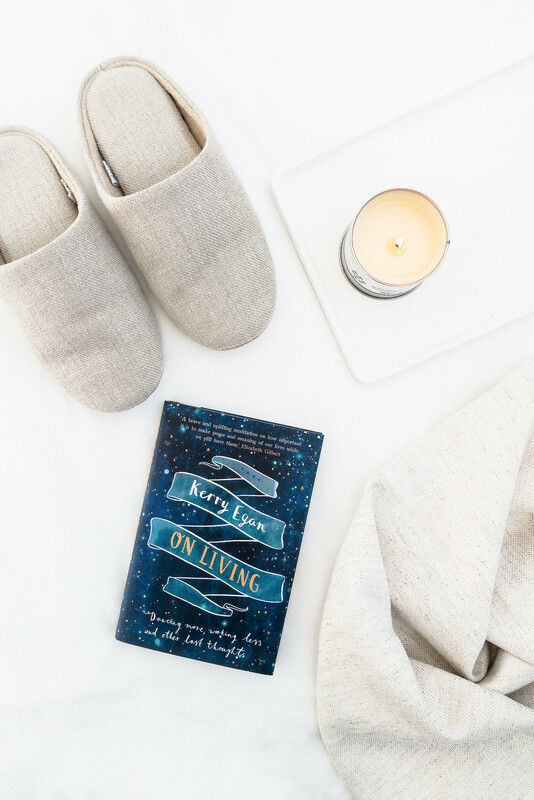 Catch up on your reading list, learn to paint, or start a journal. Hobbies can be uplifting and therapeutic, helping us to enjoy our downtime, embrace our creativity, and escape from the daily grind. Winter is a great opportunity for creative hobbies. I get together with friends to carve pumpkins for Halloween and create decorations for Christmas. There’s something wonderful about spending time together indoors while it’s cold and miserable outside. We spend a lot more time indoors over the winter and so it’s important our environment is enjoyable to be in. Being inside doesn’t have to make your miserable. Clear the clutter from your space, decorate your home, and make it a cosy place to spend time in. I struggle with not being able to go outside as often as I’d like during winter. I focus on trying to make my environmental enriching and pleasant to be in as possible. Rearranging my space, diffusing essential oils, piling blankets on the bed, and creating a cosy space to be in helps make winter pass faster. Share your tips for feeling better in the comments.